It was reported that on March 14, Gallagher, renowned prop comedian famous for his smashing-watermelons routine, suffered a heart attack in a Texas bar shortly before he was set to head on stage for a performance. 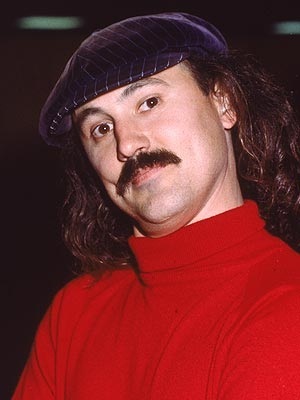 Gallagher was rushed to a Texas hospital, where he was set to recuperate for a few days following the incident. News today is that after Gallagher was admitted to the hospital, he was placed in a medically induced coma to rest and recover from the heart attack. The Huffington Post reports that Gallagher is in good condition and that his doctors are optimistic for a substantial recovery. This is the second heart attack Gallagher has suffered in just over a year. The last one took place in the middle of a performance in a Minnesota venue.